Because that’s all I took. Because the show has become so stale I don’t think I need to go back for another 5 years. Too many people to get a shot from the front. Function over form, I presume. Ok, I did swoon over this one. Love it! Stock RX-7? Gross, throw some rimz on it at least pleaseee. And a fart can exhaust. Carrera GT hiding behind the 918. You begin the journey with the “Auto Exotica” room which is the anti-thesis of “save the best for last”. There was some cool stuff there but the two Teslas had the most foot traffic which is exactly what happened last year. The record-setting Agera was there too. I believe this room was predominantly sponsored by a luxury dealership because there were salespeople ready to place orders. The Porsche room was next and was nicely done but a bit sparse on quantity. I snapped a pic of a 356 and the 918 with the Carrera GT behind it. And then came the first manufacturers’ exhibit featuring the ‘boring’ brands (Mazda, Nissan, VW, Honda, FCA, Hyundai, and Subaru). The new Arteon was there. I sat in some big pickup trucks. The STI’s shift knob was missing. In the next building was a room called “Tuner Battleground” which was maybe my favourite just because it reminded me of the good old NFS Underground days. A Jetta that looked exactly like Jesse’s from F&F (maybe it was the one) was there! Also a Hot Wheels exhibit and a room dedicated to classic cars that show up at a concourse here in Ontario. I sat in the back of a police Charger and it is tiiight. And I’m a skinny guy. Then came the exotic manufacturers (JLR, BMW, Mini, Benz, Caddy, Audi, Lincoln, Maserati). Genesis was there too which was interesting to me. Finally Toyota, Ford, and Chevy rounded off the experience. 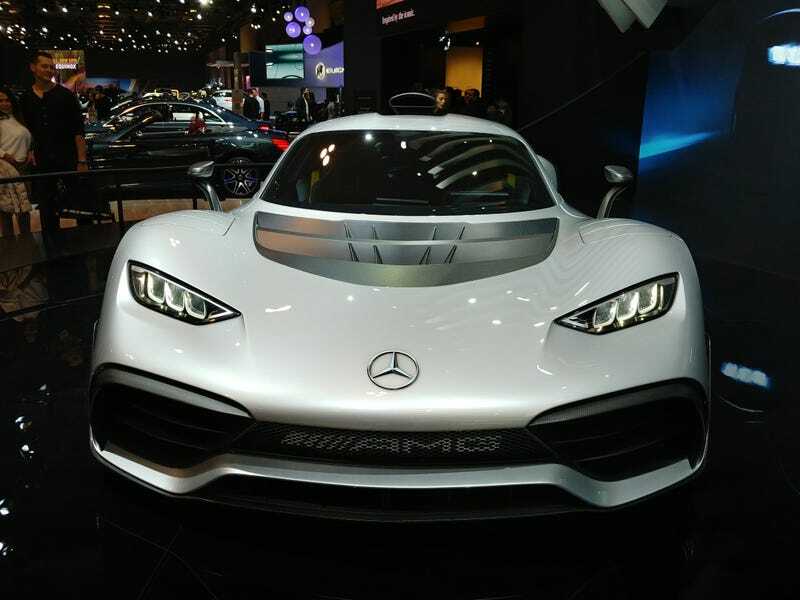 No pics because you literally see these cars all the time, except for the AMG Project One. A second highlight was getting to try out some e-bikes. I’m talking about the ‘real’ bikes with a pedal-assist motor. You can get moving on one of those things quite quickly, but the ~$3k+ price tags are still a deterrent. Yup, so not much new to see and the show can barely differentiate itself from the previous year. Maybe I’m jaded - not sure. Won’t be going back next year.